Custom Service for Healthcare (CSH) provides solutions for cleaning & maintaining specialty laundry items in Healthcare Facilities. Our team of Service Specialist are trained for working together with the EVS department to provide daily support in areas of: Cubicle Curtains, Drapes, Upholstery, and items not cleaned by larger textile rental services. 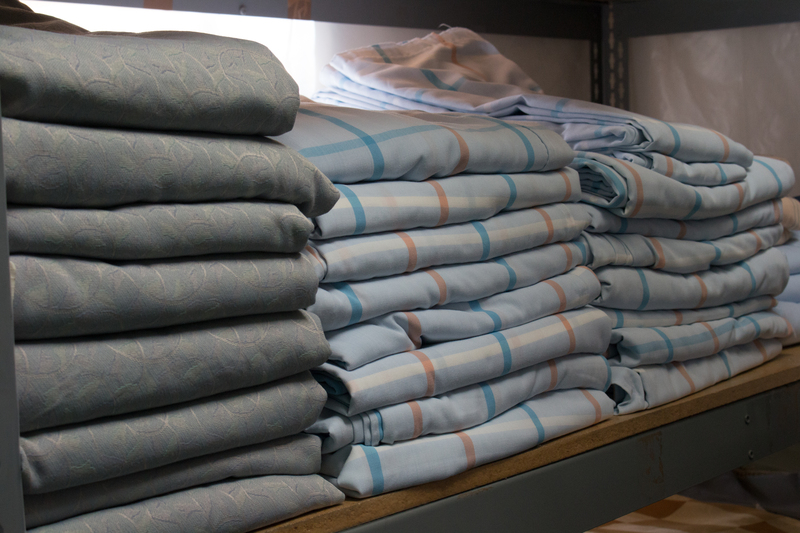 Our healthcare laundry specializes in small batch laundry for sensitive items and next day service. 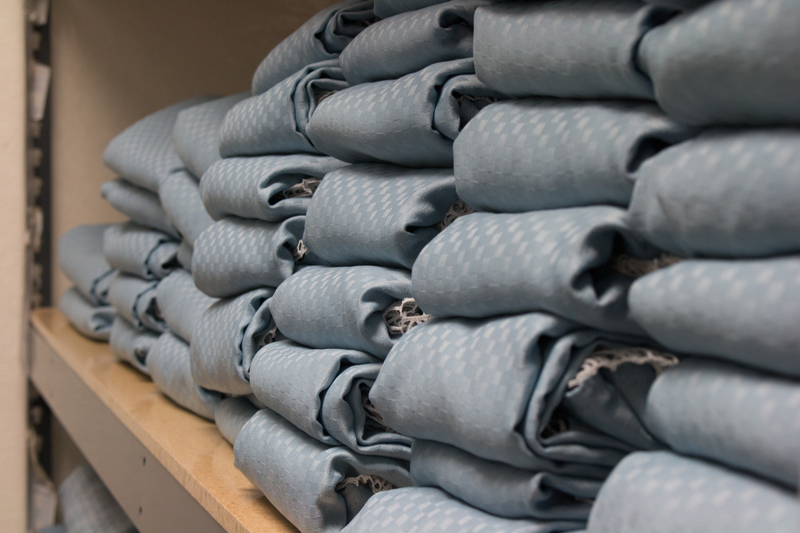 Our massive inventory of curtains and 24hr availability can meet those urgent curtain needs even on weekends. After 22 years of changing curtains, no one can do it faster. Clean cubicle curtains, drapes and sheers, valances, cart covers, blackout curtains, canvas awning covers, and other fabric items in your healthcare facility must be clean. Common concern tells us this. Public standards, such as those set by the California Department of Health Services (DHS) and Joint Commission on Accreditation of Healthcare Organizations (JCAHO) confirm and require it. CSH provides turnkey services to care for such fabrics. 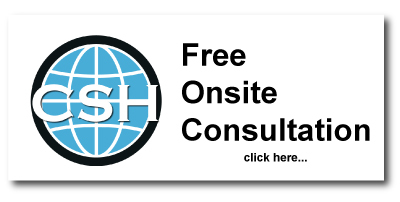 You need only CSH to maintain meticulously cleaned cubicle curtains, drapes and other fabrics. No staff to add, no cleaning materials and equipment to stock. Just turn the tasks over to CSH, and free yourself for other responsibilities! CSH cleans all types of window drapes - laundry or dry cleaning. CSH specializes in cleaning large and over sized window drapes. We come to your facility to remove and re-install all items we clean. CSH provides the same scheduled cleaning service for window drapes as the cubicle curtains. On an annual schedule you can rest assured that all window drapes in your facility are being cleaned. This removes dust and other airborne contaminants. CSH is now expanding its great, reliable service to include upholstery cleaning. Don’t risk your staff being injured with steam burns. Have our trained and experienced service specialist take the burden off your hands. We specialize in working in healthcare facilities and customize to your needs. We can clean as needed, in preparation for an inspection, or just to get that lobby looking new again. We can clean by yearly schedule, so you never have to worry about it and you know every piece of furniture is cleaned regularly and automatically. Awning image CSH cleans and protects your outdoor canvas awnings. Whether it is a small awning over an entrance or a large awning covering a coffee shop, CSH will clean them. CSH utilizes special equipment and chemicals designed specifically for awnings. This enables them to take that old awning and make it look new again and protect it for the future. Like all CSH services this can be scheduled annually so it will be cleaned automatically at the frequency you specify.